Large ships have very reduced visibility for quite a distance ahead. This applies particularly to in-bound vessels which arrive in ballast and high in the water, further reducing the visibility of the area immediately around the vessel. You may be able to see her clearly, but can she see you?! A ship slowing down does not steer very well, it needs the propeller action on the rudder to respond. When ship's engines are put "astern", steering way will be lost. Remember, it can take up to 3 minutes before a ship to come to a halt in the water after the engines have been put astern. LorAll ships over 37.5 metres entering the harbour take on board a harbour pilot 1 to 2 miles off the port entrance. The pilot cutter will normally precede the vessel into the harbour. Whilst all ships are required to have a pilot on board, he is not in command of the vessel, that responsibility always remains with the Captain of the vessel. The pilot is there to advise the Captain so that the ship navigates safely into the harbour. Most ships are well found and all their equipment functions correctly however failures and malfunctions in equipment can happen at any time. Skippers of leisure craft must always be alert, always giving ships a wide berth and clear passage as they follow the main ship channel shown on the chart. Remember that, due to the nature of the port's trade, ships will enter in ballast and high out of the water. This drastically reduces the visibility from the ship and affects the manoeuvring characteristics. Ships under 90 metres length normally proceed directly to the jetty areas North of Bodinnick ferry unless mooring to the commercial buoys in the lower harbour. Ships over 90 metres length use on tug to turn around in the Swing Ground area. The vessel is then towed stern first to the allocated berth, dragging its anchor. Ships of 100 metres or more use 2 tugs for this operation. The tugs will stand by off the harbour entrance, running alongside the vessel to make fast the tow ropes off Whitehouse Pier. The ship is then turned around in the Swing Ground area and towed stern first to the loading berth. 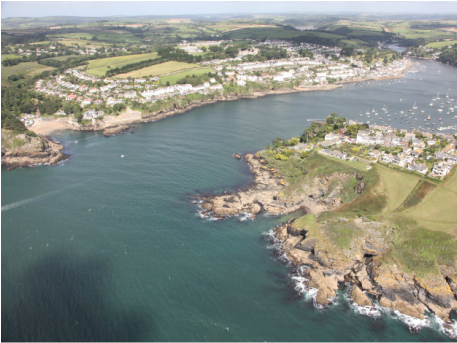 The Harbour entrance lies between St Catherine's Castle on the West side and a white cross on Punches Cross rock on the East side. The entrance is only one cable wide at its narrowest point. 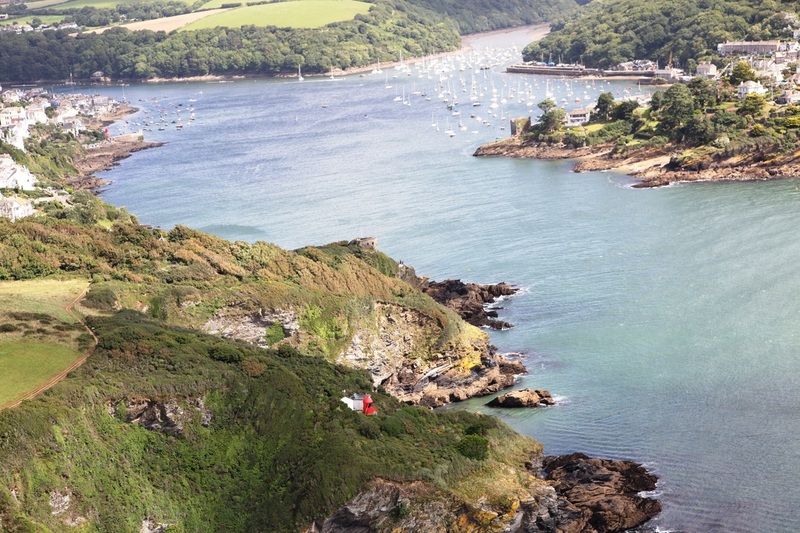 Information on entering the Port can be obtained from Fowey Harbour Radio or Fowey Harbour Patrol on VHF Channel 12. Advice on commercial movements is available from Fowey Harbour Radio or Fowey Pilots on VHF Channel 9. Keep a good look out by sight, hearing and all other available means. Maintain continuous listening watch on the Port Working Channel 12. Small craft may not be detected by radar due to their construction, size and the prevailing weather conditions. Additionally, small craft will not be detected when in close proximity to commercial ships due to the height of the ship's radar scanner. Be visible. Make sure that you are seen, especially at night. Fowey Harbour Radio and Fowey Harbour Patrol working channel is on VHF Channel 12.